The swedish Samis are a minority in Sweden, with their own language, their own custums and traditions. They live in the northern part of Sweden, Norway and Finland. If you are interested in finding out more you can visit the permanent exhibition at the Nordic Museum (Nordiska museet) and Skansen February 6-8 at 11-15 o clock. The sami building will be open at Skansen and filled with music events, handicrafts etcetera. The latest trend in Stockholms' nightlife is "the at home-feeling". The idea is to dine with the feeling of home. Bookshelves, comfy chesterfield sofas and odd lamps seems to be the concept. Here are the three new initiatives, interpreting the theme in their own way. The luxury restaurant F12 opened its new bar and lounge Salon named Salongen this week. A wide range bar menu and drinks is offered in a comfy trendy grandmother atmosphere. Heavy draped curtains, dark orange and dark petrol coloured walls and seats all mitched and matched. The restaurant have also had a facelift, but keeps the light green spring atmosphere. Cloud Nine is the name of a new restaurant in an upcomming city area (Norra Bantorget). There are actually two concepts connected together. First the Restaurant Cloud Nine which offers great tasting french colonial style food, with inspiration from New Orleans as well as with african and west indies influences. Great food in the mid price segment. The idea is for people to dine at the restaurant and then eat the dessert at the Cloud Nine desserts and drinks, which is a comfy and really nice looking dessert restaurant and bar. The dessert part has a separate entrance and serves advanced desserts as well as "7 sort of cookies", which is a typical swedish farmers concept. Hotel Lydmars opened in october 2008 and has also got the comfy concept in their restaurant. Ryanair opens two new routs to Stockholm Skavsta Airport this spring. Fly from Palma de Mallorca in Spain and Zadar in Croatia two times a week from April 1, 2009. World famous terracotta army to Stockholm! 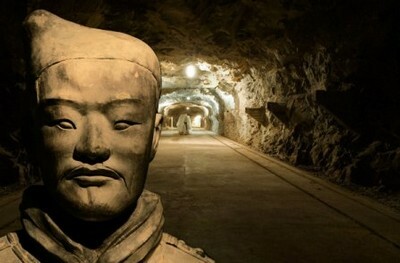 The world famous Chinese Terracotta Army will together with the most recent archeological findins be exhibited in Stockholm in the Autumn of 2010. The displey will be unique both showing new, recentyly discovered grave findings and with the most spectacular setting. For the first time ever the artifacts will be shown under earth, in the secret rock galleries at Skeppsholmen Island under neath the Museum of Far Eastern Antiquities. The rock galleries and former naval base of the Swedish Navy is situated opposite the Royal Palace. The unique location of the exhibition is possible due to co-operation with the Swedish National Property Board who administers the island of Skeppsholmen. Vasastan area has become a new and interesting place for design and culture events. During The Stockholm Furniture Fair galleries, hotells and showrooms have put together a great program. 1. Designgalleriet, Odengatan 21, "Tokyo Takushii", design exhibition by Claesson Koivisto Rune. February 3rd Opening party 19-21.00 (by invitation only). February 4-14 Open to public. 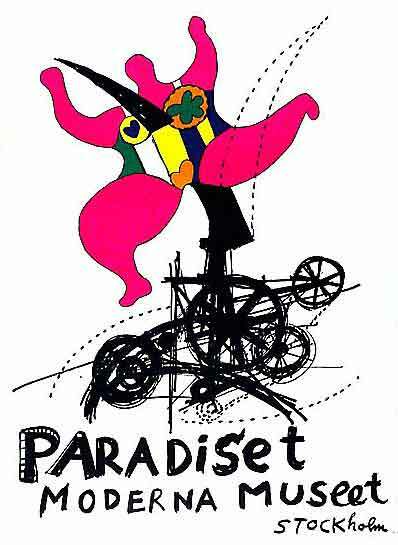 February 3rd Opening party 17-20.00 (by invitation only). February 4 - March 21 Open to public. 3. Crystal Palace, Karlbergsvägen 44, Sneak preview of international mobile gallery. Get warm with Zandra Ahl and Pontus Lindvall for one special night. February 3rd Opening party 18-20.00 (by invitation only). Design & Mingel & Understanding. A sly peep at the new issue of - FORM Design magazine, hot from the press. Design and architecture BOOK SALE, special offers in the FORM shop. From February 4th Open to public. Input interior presents Alfredo Häberli in collaboration with Fredericia Furniture, Luceplan and Iittala. Interesting exhibitions with young unestablished and renowned designers within photo, product design, graphic design and architecture will be displayed at Stockholms new design arena Designgalleriet. January 30-February 14, 2009. During Stockholm Furniture fair and Designweek the renowned swedish trio Claesson Koivisto Rune will show an exhibition named Tokyo Takushii. Photos and products in conjunction with Asplund and Designgalleriet. .
February 19-March 7, 2009. Fuldesign (ugly design) The design group Fuldesign will show everything that is not minimalism. Screen prints, embroideries and monsters etcetera. March 12-28, 2009, Daniel Franzén have during ten years inspired with furniture, dolls house, design, jewellery and architecture photos. Stockholm started being a city for design, then a fashion capital and now the city is on its way to become a city for contemporary art. In september this year the large contemporary art institutions will arrange an international event for collectors, curators, critics and visitors.This is the first collective initiative with the aim to promote Stockholm as an international art city and as an attractive destination for culture tourism. The contemporary art scene have developed a lot during the past years with blooming galleries, several well renowned institutions, such as Moderna Museet, Magasin 3, Bonniers Konsthall and Färgfabriken and several art initiatives. Together they add vitality and strength of international quality. In addition to vernissages and public program the institutions will arrange with a visitors program for opinionmakers. I will get back on this subject as soon as things are official. New year new changes and new restaurant. The trend this year is to change concept or change the address. The trendy and popular fine dining restaurant Vassa Eggen will close and the owners will open a grill barbeque restaurant on the same address, Birger Jarlsgatan 29, during the spring. The trendy bar at Hotel Reisen is also changing its image. They will open their new "Bakbaren" soon with a loungier and softer atmosphere. 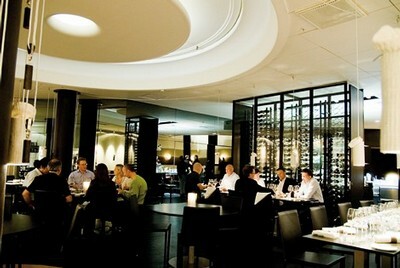 The Hotel Stureplan on Birger Jarlsgatan 24 will host the fine dining italian restaurant Per Lei from now on. Another restaurant move is the vegetarian restaurant Babajan which has been a popular restaurant at the Etnografiska museet. Babajan will open in mid february on Katarina Bangata, Södermalm. Norwegian Airlines will launche routes from Mallorca, Pula, Argave, Crete, Rome, Budapest and Praha to Stockholm during the summer according to Travel News.